A fisheries inspector removes illegal nets form a creek near Proserpine last month. A CREEK south of Bowen was identified as an illegal fishing "hotspot” by Fisheries Queensland. The statement was made after more than 100 metres of nets were seized last month by fisheries officers at Edegcumbe Bay, located between the Whitsunday Shores Estate and the Big Mango. They were set in a secluded location accessible by 4WD and it appears the nets were set at low tide. 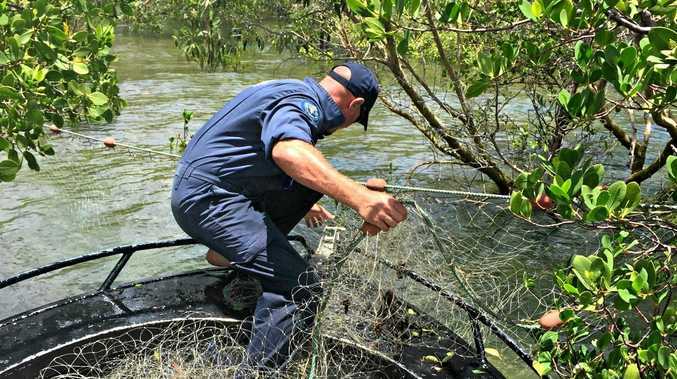 A member of the public phoned the Fishwatch hotline to alert Queensland Boating and Fisheries Patrol and officers responded immediately to remove the nets. 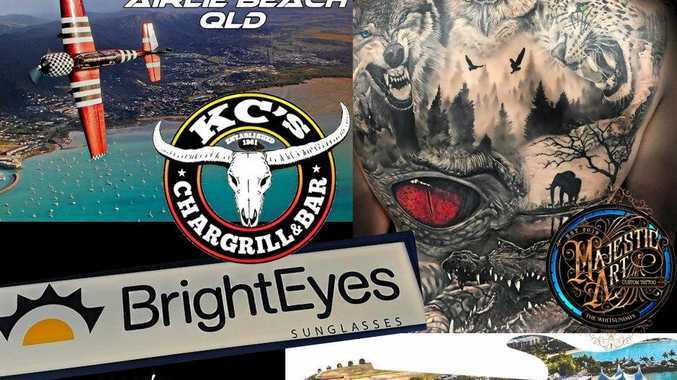 113 millimetres,” a Fisheries Queensland spokesperson said. The nets had been tied off to mangrove trees and besser blocks and weaved between the mangroves. The regulation size for seine nets, also known as bait nets or drag nets, in tidal waters is no longer than 16 metres in length, three metres in drop and with a mesh size no greater than 28 millimetres. The net must not be anchored, staked or fixed. The penalty for possessing or using an unlawful fishing net is $1219. There weren't any markings or identifying features on the nets and no one was around when officers retrieved them. Last month, two recreational fishers found with a large catch of undersized fish and mud crabs in far north Queensland were fined $19,000 in the Ayr Magistrates Court. Anyone with information about this incident should phone the Fishwatch hotline on 1800 017 116. You can also get the free Queensland Fishing app to be informed about your catch.